I'm starting to come down from my off-the-shoulder-top high but before I do I had to get this top. 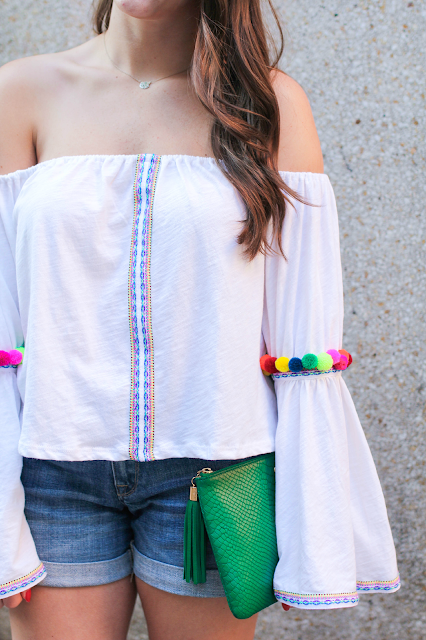 I mean off-the-shoulder AND had cute pom poms? How is a girl to say no? I wore this last weekend just going to grab a bite to eat with Andrew. It was easy to throw on and appropriate for the warm weather. Paired with my jean shorts and Jacks, I was good to go! This shirt is so cute, Krista! 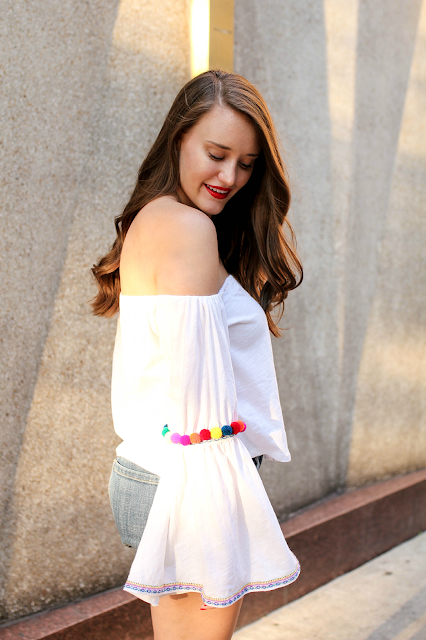 It looks fabulous on you! Those poms are so fun! I love it with the colorful jacks! I NEED THIS SHIRT! Love it! you have such a good sense of style! im obbsessed with your blog!